A Welsh Court has sentenced Jeffrey Bevan to 7 years and 4 months in prison after he was convicted of laundering £1.3 million [$1.8], and local officials confirm that confiscation proceedings have started in order to recover the funds stolen from the Bermuda Government. Mr Bevan, an accountant from Wales, was employed as Payments Manager for the Bermuda Government from 2011 to 2013, and during that time some $2.4 million was stolen. A Bermuda police spokesperson said, “Following a four year joint international police investigation between the Organised and Economic Crime Department of the Bermuda Police Service and TARIAN Regional Organised Crime Unit, Jeffrey Bevan, 50, from Cwmbran, Wales has been convicted of laundering £1.3 million. “In total, $2.4 million Bermuda Dollars were laundered through various bank accounts held in Bermuda and the United Kingdom. “Operation Bolivar was managed by TARIAN the Welsh Regional Organised Crime Unit. 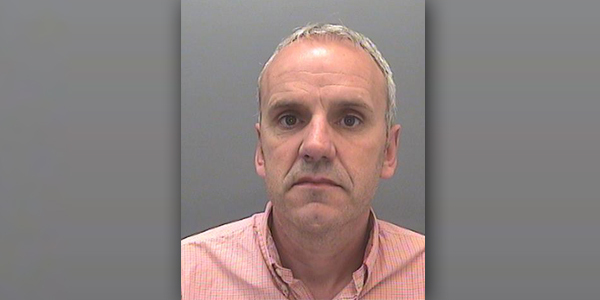 Bevan pleaded guilty to all 13 counts on the first day of his trial at Cardiff Crown Court. “His Honour Judge Fitton QC jailed Bevan today [Friday, February 16th] for a total of seven years and four months. “Confiscation proceedings under the Proceeds of Crime Act have started in order to recover the funds stolen from the Bermuda Government. “Following a week-long trial, two co-defendants, Joel Ismail and Paul Charity, both from Leicester, who had also faced joint charges with Bevan of conspiring to launder money stolen from the Bermuda Government, were unanimously acquitted last week of all charges relating to money laundering. “However, Charity was found guilty of perverting the course of justice by deleting a series of emails with the intention of concealing them from the police during the investigation. “The court heard that Bevan, a qualified accountant, was employed as Payments Manager for the Bermuda Government between 2011 and 2013 on an annual salary of $112,000 [approximately £80,000]. “During that time he used his expertise to manipulate a new payments software system in order to steal a total of $2.4 million BMD [approximately £1.8 million] in 52 separate thefts over two years. This was money stolen from the Bermudian taxpayer. “During this time Bevan laundered £1.3 million into the UK, buying a penthouse apartment in Swansea Marina, and several buy-to-let properties in Swansea, Newport, Nottingham and Glasgow. He also obtained shares in racehorses; purchased two Mercedes cars and also paid off his £140,000 mortgage on his family home in Cwmbran. “The court heard that whilst in Bermuda, Bevan enjoyed a lavish lifestyle with regular family holidays to the Caribbean, United States and Europe as well as attending the races at Royal Ascot as VIPs. Detective Superintendent Huw Davies of the Regional Organised Crime Unit said: “This investigation is a clear example of criminality having no geographical boundaries. However, it also demonstrates that law enforcement also has no boundaries in pursuing criminality. Detective Superintendent Sean Field-Lament, Head of the Crime Division of the Bermuda Police Service said: “ I echo the words of our partner, Detective Superintendent Huw Davies and would add that increasingly crime has no borders and Law enforcement has to come together to tackle the challenges that transnational Crime represents”. “Finally I would say well done to all those involved whether as a witness or part of the investigation and prosecution teams, there is no doubt that as a result Bermuda is safer for the combined efforts demonstrated in this investigation”.